So you have decided to learn how to play the piano? So how do you play the piano? Do you need to learn to read music to play, or? The piano is a superstar instrument with many talents. There are many styles and ways to play. The piano is like an orchestra, you could say that with ten fingers you can play ten different instruments! Except from being a remarkable solo instrument, the piano can be played in an orchestra as a part of the orchestra, with an orchestra as a soloist, and be used as an "orchestra" for many types of accompaniments. The piano is used as a tool for conductors and other musicians studying an orchestra score and as a workstation for composers writing music. The piano is also one of the most versatile ensemble instruments. You can play duets, trios, quartets etc. together with many different instruments. And let's not forget the joy of playing four hands, duo, or even six hands! The piano can also be played in almost any way and style you love. Jazz, Classical, Rock, Blues- you name it! There are no "must" or "should". 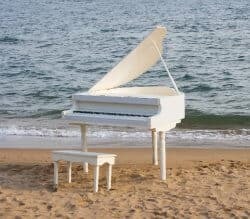 The Piano is there for you to enjoy in any way you like! What is the “right way” to play? Can you play piano by ear, or do you have to learn to read notes to be able to play? I still get these questions from time to time. There is no wrong way to play, and no, you do not have to read notes to play any instrument. It would be like asking if you could speak without reading from a book. Playing music is a form of language. It is different in different countries, regions and also is expressed differently from person to person. Expressing yourself with music through an instrument is one of the most wonderful means of expression we humans possess. Most of the music in the world is actually never written with notes. And many musical traditions of the world are based on rote-learning, which is learning from a master by watching and doing- not by reading notation. But learning how to read music is also like learning to read written language. It is not necessary- but how limiting not being able to! Imagine all the amazing “stories” or compositions by other composers, from different epochs and in styles you would never have access to otherwise! Traditionally, mostly the so called Western “Classical” music has been written with notation. Today even jazz, blues and rock pieces can be found as sheet music, even though traditionally these styles are learned, taught and performed by ear and made personal by improvisation. This is good news, because if you can read music you can also get a “taste” of many different styles of music you might otherwise not be able to try out! Playing Chord Piano is a great tool to quickly learn how to play the piano in a useful and fun way. The piano as well as the guitar are the ultimate instruments for chord playing. Chord Piano is easy to learn, hardly requires any note reading and sounds great! 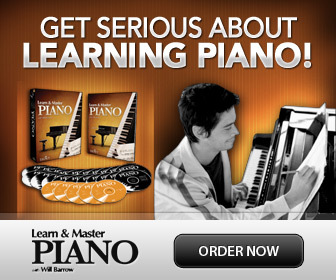 You can easily learn how to play the piano with chords and accompany songs or to improvise. With chords you can also make up your own pieces. Learning about chords will also deepen your understanding of one of the largest building blocks of music- harmony, and this will in turn make it easier to read music! Actually, you don't have to learn to improvise. Just play whatever you like and enjoy the sounds of the piano to your hearts content! Improvising at the piano may sound fantastic or terrible. It doesn't really matter. In order to let loose and learn how to improvise, you first need to stop being careful and cautious. There are no rights and wrongs when you improvise, you decide. 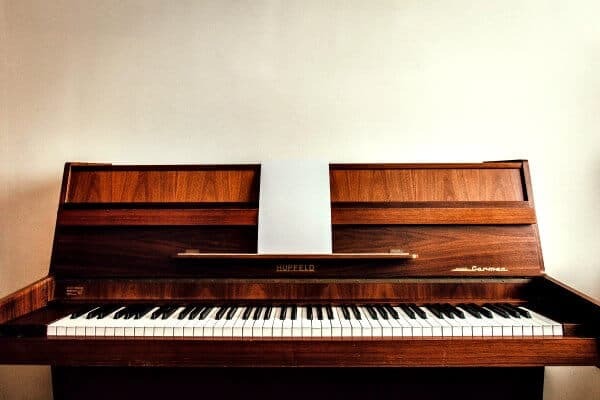 You can learn how to play piano by ear, learn to improvise and how to play the piano with chords, or you can read sheet music to learn new repertoire. So, what are your favorite ways to play?